Obtaining maximum cash for a motorcycle when it comes time to sell it is everyone’s top priority. There are many things that can affect the cash you get for your wrecked motorcycle. The regular maintenance of your bike can turn out to be profitable in the future. If you have a well-maintained motorcycle, you can receive a decent amount for that. To get top dollar for your motorcycle, you should search for licensed motorcycle junkyards. 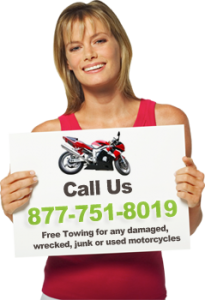 These motorcycle junkyards operate professionally by maintaining the laws established by the government. If you want to sell your motorcycle in a legit and quick way, search for authorized bike buyers. The motorcycle buyers estimate the bikes worth based on its exact condition. You are free from stress related to whether or not you are getting an accurate amount for your used motorcycle. Winter is around the corner and so it’s vacation time for motorcycles of all sorts. Not riding your bike throughout the winter is good from your safety’s perspective. While on the other hand, the cold weather conditions can affect your motorcycle functioning due to not being used. Maintenance of your motorcycle ensures it’s safe and secure and ready to ride again after the winter. In the meantime, if the thought of selling your motorcycle strikes, you can sell it. Cleaning and washing your motorcycle assures that no contaminants will get onto it. Make sure you put wax on the painted surfaces and polish all the metal surfaces of your motorcycle. Changing the oil and filters of your motorcycle is a health maintenance tip to be followed this winter. This would assure that you will start off with new oil next season. You can either fill or completely drain the motorcycle’s tank according to your need. It is easier to fill the tank as your motorcycle will be kept indoors throughout the winter. Fuller tanks prevent the inside from getting rust as it leaves little air space for oxidation. Add the fuel stabilizer to your motorcycle tank to keep the gas protected against stalling and separating. The next thing to do is to drain the carburetor from your motorcycle so that the fuel doesn’t evaporate. You can follow the manual’s directions to disconnect the fuel line and drain the carburetor. Get your motorcycle tires inspected and inflated for the winter. The tires that are in good condition and properly inflated will help them remain healthy. Winter is also a great time to replace your motorcycle tires in case they are worn out. Cover your bike with a breathable cover which will protect it from dents and dings. You should make sure your motorcycle’s battery is conditioned and charged. To do so, you can use a battery charger to keep the bike’s battery charged. Maintenance of your motorcycle can help you a lot in getting maximum cash at the time of selling. No matter the reason why you want to sell your motorcycle, you are definitely looking to obtain the best price. For this purpose, you should consider the following tips. Knowing your motorbike well is essential for determining the right price, as well as for gaining the trust of the potential buyers. If someone who is interested in your motorcycle seems to know more about it than you, he will definitely have some doubts about buying it. Most probably, he will question your credibility and the way in which you maintained your bike. Let’s face it, how can he believe that the motorcycle was well cared for if you don’t even know how often you should change the oil for that particular model? There is also another possibility; if the potential buyer notices that the motorcycle is in a good condition, but you don’t know too much about it, he will probably lead the negotiation for its price, outlining all its defects and minimizing the strong points. Advertising means a lot more than TV ads, and you can use this technique for increasing the number of potential clients. This way, you will be able to choose the right customer for you. Since some potential clients will try to lower the price you asked, it is always a good idea to have more people interested in your motorcycle. Post the ad on social media, specialized websites and tell your friends that you want to sell your motorcycle. Since space isn’t such as an issue with motorcycles, it’s easy to clean and detail them at home. Rinse your bike with cool water to remove loose dirt. Clean plastic components first using a soft sponge or cloth and a mild detergent, and then wash the rims (don’t wash the chain). Rinse thoroughly; detergent residue can corrode alloy parts. Dry the motorcycle and lubricate the drive chain. Start the motorcycle and let it run for several minutes – be sure to test the brakes before driving. Remember to clean any original parts you have lying around so that potential buyers can view them if necessary. A good first impression is always important, and motorcycles are no exception. If the vehicle will be full of dust and dirt when someone comes to see it, the potential buyer will assume from the start that it is not well-maintained and it’s not worth the money. If you polish it before, and you take care of the minor damages that can be repaired immediately without high costs, the chances of selling your motorcycle for a good price will increase considerably. Consider selling some accessories separately. If your motorcycle is laden with accessories, it’s sometimes a better option to remove them and sell them separately. Chances are you’ve accessorized your motorcycle in accordance with your needs and personal tastes, and not every buyer will appreciate it as you do. 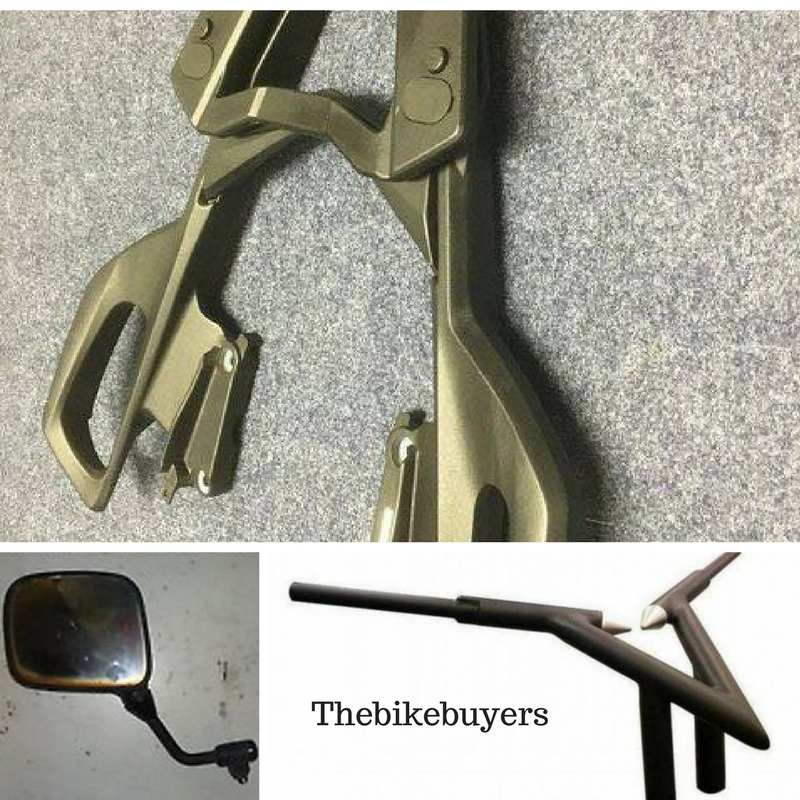 According to experts, if you plan to sell your bike with accessories, it’s best to make sure the original parts (e.g. exhaust pipes, racks, bars, mirrors) are included or at least available in case the buyer wants them. If a new layer of paint is required, don’t hesitate to do it. It will be a good investment that will boost your chances of selling your motorcycle for the best price. Don’t be afraid of buying some wax, either. However, the temptation of making modifications will be higher the moment you start preparing it for the selling process. But this is definitely not a good option, not to mention it may be really expensive. Mods will determine the buyer to believe that the motorcycle is not reliable enough, and it needed some adjustments. Moreover, the modifications you make may not please and satisfy the new owner’s needs. Allow him to customize the motorcycle as he wishes. Test rides can convince the potential customer to buy your motorcycle, but if you allow anyone to ride it, the motorbike may suffer damages. These damages will cost you for sure, and might even bring down the selling price or, worse, ward off customers. Decide on a bottom price. Don’t make the first move – if the buyer wants to negotiate, encourage them to name a price first. Don’t let low offers put you off – provide a counteroffer. If you are looking to sell your motorcycle for cash or to buy a new one, contact the bike buyers Now! !